PowerShell is Microsoft’s modern scripting language for system administration that supports a wide variety of tasks by executing commands (known as cmdlets, pronounced command-lets) from the PowerShell command line. Microsoft has also developed PowerShell cmdlets for managing Microsoft Azure, including a number of useful SQL Database commands. In this post, I’ll show you how to get started using these cmdlets. Even if you already have PowerShell installed, these special cmdlets for Microsoft Azure need to be installed separately. The following instructions describe how to download and install the cmdlets. Navigate your web browser to https://www.windowsazure.com/en-us/downloads. 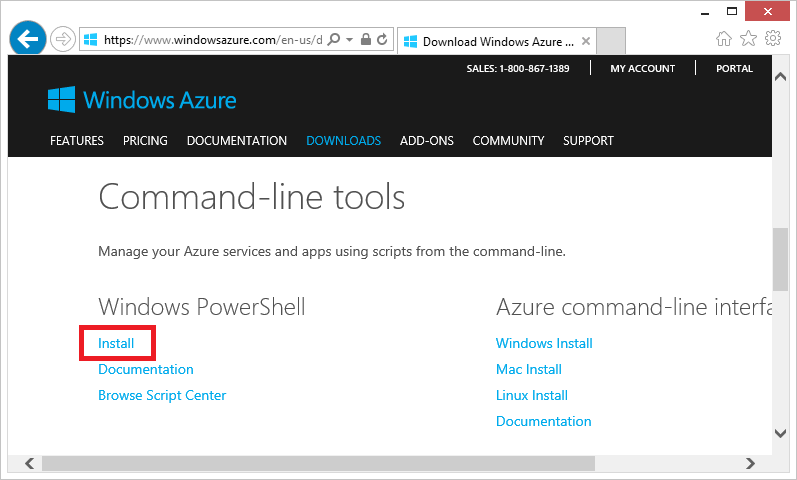 Scroll down to Command-Line Tools, and click the Install link beneath Windows PowerShell. When prompted to run or save, click Run. 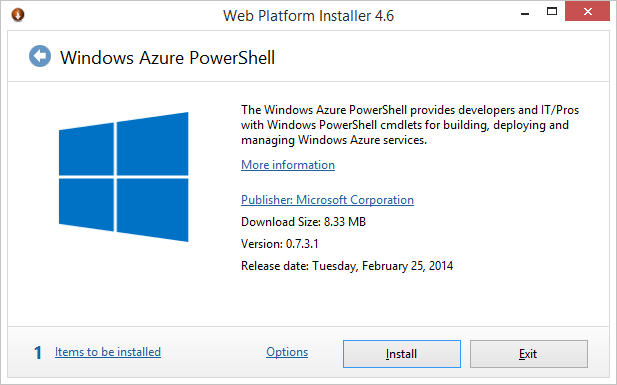 In the Web Platform Installer dialog, click Install. Click I Accept to start the installation. When installation completes, click Finish. Click Exit to close the Web Platform Installer dialog. Although you can use a simple text editor (even Notepad) to write PowerShell scripts, the PowerShell Integrated Scripting Environment (ISE) is a much more productive environment. As you’ll see, it offers some nice features, such as syntax highlighting and IntelliSense-style auto-completion. At the command prompt, type powershell_ise. 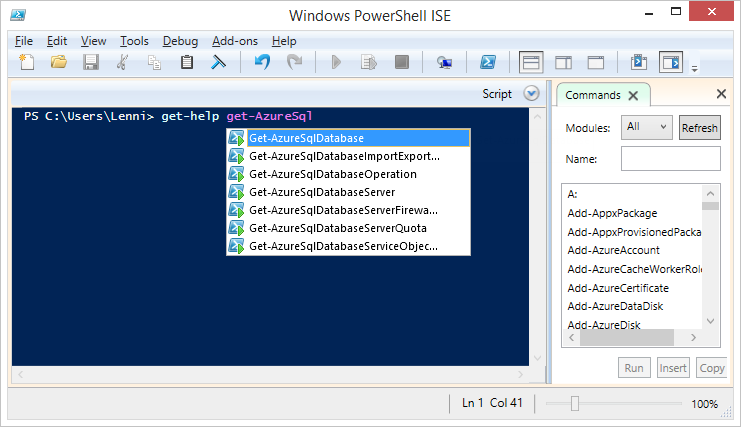 At the PowerShell ISE prompt, type get-help get-azuresql, and then pause. In a moment, a popup window appears showing all the cmdlets that start with get-azuresql. Double-click on any of the cmdlets to complete the command, and then press Enter to view help for the selected cmdlet. Before you can start using PowerShell to manage Azure, you need to configure it for your account. This is simply a matter of logging in to the portal, and then running a few PowerShell commands to retrieve your account information from Azure and import it into PowerShell. This section walks you through the process. Log in to the Microsoft Azure portal at https://manage.windowsazure.com. This step is necessary for PowerShell to identify your account. If you don’t log in first, you will be prompted to log in when you try to retrieve your account settings in PowerShell. Start the PowerShell ISE, as explained in the previous procedure. Type Get-AzurePublishSettingsFile to retrieve your account settings. Internet Explorer will open up automatically and download a .publishsettings file with your account information. Click Save to save the .publishsettings file to your default Downloads folder. Important: The .publishsettings file should be kept safe and private, because it effectively provides access to the Azure subscriptions on your Microsoft account. The PowerShell ISE doesn’t boast with a message when the settings are imported successfully. You’ll only get an error message if it fails. Otherwise, you’ll know that all went well if you are silently returned back to the PowerShell command-line prompt. You are now ready to create a server, and then you can create a database on that server. Type New-AzureSqlDatabaseServer –Location “East US” –AdministratorLogin “<new-login>” –AdministratorLoginPassword “<new-password>“, where <new-login> and <new-password> are the credentials you want to assign for the new server. The server is created, and PowerShell responds by displaying the new server name. Type New-AzureSqlDatabaseServerFirewallRule –ServerName <server-name> –RuleName <any-name> –StartIpAddress <your-ip-address> –EndIpAddress <your-ip-address>, where <server-name> is the name of the new server created in step 1, <any-name> is an arbitrary name for the new rule (no spaces permitted), and <your-ip-address> is the IP address of your machine. This command creates a new firewall rule to allow PowerShell access to the server from your IP address. If you don’t know your IP address, you can find out what it is by visiting whatismyipaddress.com. 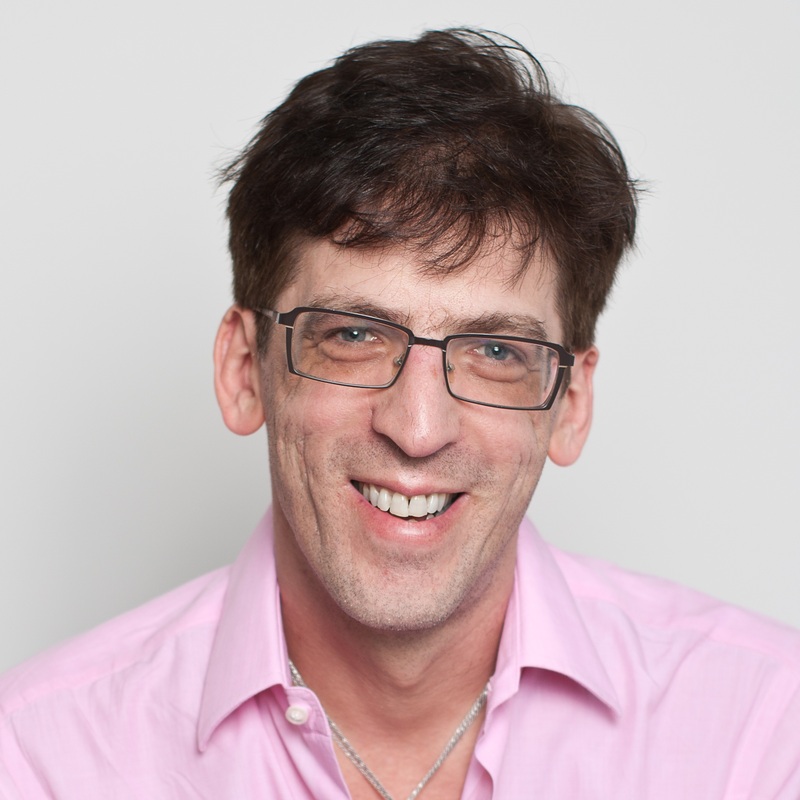 The New-AzureSqlDatabase cmdlet creates a new database. Before you can use this cmdlet, you must first create an object with your credentials, and then you use those credentials to create a context associated with the server that you want to create the new database on. You store the server context in a variable, and then you specify the server context variable with the New-AzureSqlDatabase cmdlet to create the database (as well as all other cmdlets you might run for that particular server). Type $creds = new-object System.Management.Automation.PSCredential(“<login-name>“, (“<login-password>” | ConvertTo-SecureString –asPlainText –Force)), where <login-name> and <login-password> are the administrator login and password you assigned when you created the server in the previous procedure. This stores those administrator credentials in a secure string named $creds. Type $context = New-AzureSqlDatabaseServerContext –ServerName <server-name> –Credential $creds, where <server-name> is the name of the server you created in the previous procedure. (The server name is displayed when you create the server) This creates a context associated with the credentials you created in step 1 and the server you created in the previous procedure, and it stores that context in an object named $context. Type New-AzureSqlDatabase –Context $context –DatabaseName MyNewDb. This creates a new database named MyNewDb. The database is created on the server associated with $context, using the credentials associated with $creds. When the database is created, PowerShell displays information about the new database. It’s often useful to view all the databases that exist on the server. To do so, type Get-AzureSqlDatabase –Context $context. As shown by this cmdlet’s output below, the server includes a master database, just as an on-premises SQL Server does. Type Remove-AzureSqlDatabase –Context $context –DatabaseName MyNewDb. When prompted to confirm, click Yes. If you are using Remove-AzureSqlDatabase to write scripts you intend to run with no user intervention, you can include the –Force switch. This switch causes the database to be deleted immediately, without being prompted to confirm. There’s a lot more you can do with these PowerShell cmdlets of course, so be sure to explore all the help topics to learn about all the other supported functionality!